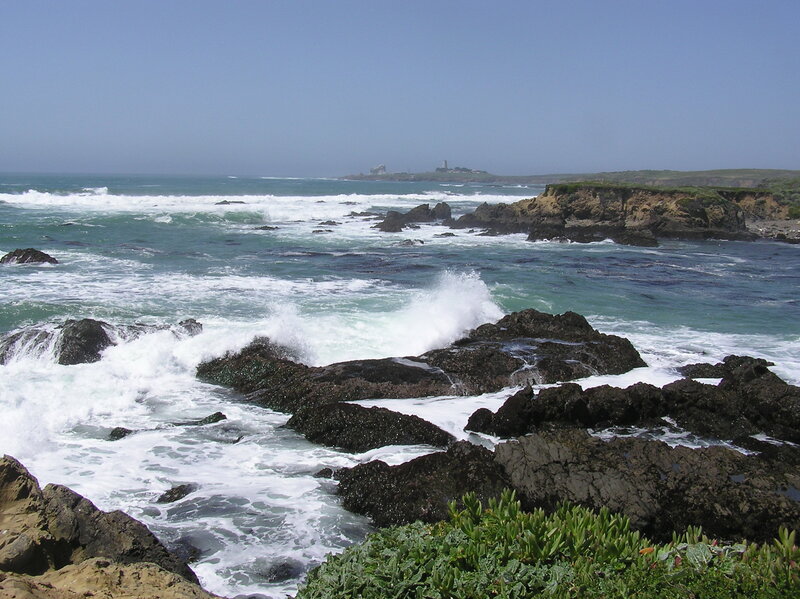 Ocean Activists Call For Calif. Central Coast Marine Sanctuary – Neptune 911! At the November 14, 2012, meeting of the California Coastal Commission in Santa Monica, with the final permit for PG&E’s potentially devastating high-energy offshore seismic survey hanging in the balance, the vote went the right way. The permit was denied. If the commission had voted the other way that day, our coastal wildlife and economy would have been in big trouble. Every commercial and recreational fisher on the Central Coast would literally have been out of business the next day, when the project was scheduled to commence; ordered to tie up their boats at the dock for the next 42 days. For 30 of those days, PG&E’s seismic vessel would have towed air guns through their prime fishing grounds, firing 250-decibel blasts every 15 seconds, 24 hours a day. Once the testing was over, the local community would have been left with the aftermath, contributing to the scant body of scientific knowledge on the subject by finding out exactly what the short- and long-term impacts had been on the fish and other wildlife. So how close did we come? You can now hear the idea bandied about locally that the seismic survey never had a chance of being approved. Here’s the reality: Every state and federal agency with any oversight role had signed off on the project. The federal Environmental Assessment and state Environmental Impact Report had been certified. By the time PG&E got to the California Coastal Commission, they had every other permit they needed. The Coastal Commission was the last stop on the regulatory road, and the most likely outcome was that the Commission would impose additional permit conditions to try to somewhat mitigate the survey’s potential damage and issue the final permit. Because the Sierra Club, NRDC, Surfrider, Coastal Protection Network et al intensively educated staff and commissioners for weeks before the Santa Monica hearing, that potential staff recommendation for approval with conditions ultimately changed to a recommendation for denial. Faced with that, and the public outrage in the hearing room, the commission unanimously agreed. Why is it a bad idea to depend on the Coastal Commission to save you from the next bad offshore project to come down the pike, and the one after that? For two reasons: First, assuming that a similar ad hoc coalition will come together to oppose any and all such future projects is not exactly a plan, nor a good use of our community’s resources. Second, members of the Coastal Commission serve at the discretion of the governor and leaders of the state legislature. In the commission’s 40-year history, there have been many Commission majorities that considered it their duty to deliver unto PG&E anything it wanted that was related to Diablo Canyon, whenever PG&E came to the commission to ask. To truly protect our coast from damaging seismic testing, we need national marine sanctuary protection for the central coast. It would give local stakeholders control over many coastal management decisions, permanently protecting our waters from damaging projects like 250db seismic surveys. Not to belabor the point: Had there been a Central Coast National Marine Sanctuary in existence in 2011-12, it could have weighed in at the beginning of the seismic survey permit process with a simple statement to the effect that the proposed activity is not allowable within Sanctuary waters. Instead, local citizens and environmental groups, fighting a losing battle all the way through the regulatory process, had to attempt a Hail Mary pass at the end of it, pushing back against the momentum of multiple prior permit approvals. In short, we got lucky. A February 22 meeting convened by Morro Bay Mayor Jamie Irons and City Councilman Noah Smukler brought Gulf of the Farallones National Marine Sanctuary Superintendent Maria Brown and her predecessor Ed Ueber to the Morro Bay Community Center, along with Zeke Grader, executive director of the Pacific Coast Federation of Fisher-men’s Associations. They spoke about their first-hand experience in managing, working and living with a marine sanctuary that was established in 1981 and protects 1,250 square miles of marine habitat off San Francisco. Grader said of his experience as the leader of commercial fishermen involved with the Gulf of the Farallones and Cordell Bank National Marine Sanctuaries, “I don’t think there’s a government entity that we’ve had a better relationship with.” The Gulf of the Farallones sanctuary, like all such sanctuaries, supports the economic growth of local coastal communities, scientific research, and the preservation of underwater treasures — and the health of the local fishing industry — for future generations. — The Sanctuary Advisory Council can be defined however a community wants to define it in its sanctuary charter. Historically, they have been eminently democratic: one stakeholder group, one seat, one vote. — The Sanctuary Advisory Council is central to the hiring decision for sanctuary superintendent. 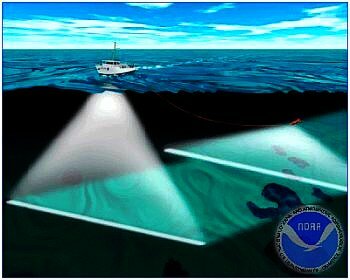 — The National Oceanic and Atmospheric Administration (NOAA) delegates authority for managing the sanctuary to the local superintendent. — 99 percent of the recommendations made by the Gulf of the Farallones SAC are implemented. — Every marine sanctuary is different. Each has its own founding document, which outlines which activities the sanctuary will manage. San Luis Obispo could have a sanctuary that only regulates offshore oil and gas drilling. In other words, the establishment and management of a national marine sanctuary is based on local control and input from the community. It is up to everyone with a stake in the environmental health of the Central Coast to grasp the reality of both recent history and the future threats coming our way and support the real bottom line: we need a permanent solution for protection along our coast. That’s why Sierra Club is advocating for the creation of a Central Coast National Marine Sanctuary.